Rebecca Minkoff's Amazing "Store of the Future"
Rebecca Minkoff has created a whole new type of shopping experience, and it's going to change everything. 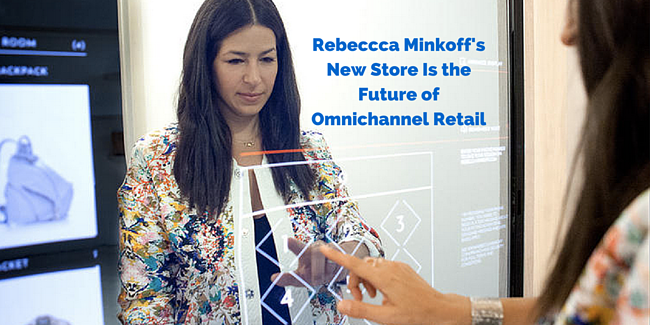 Fast Company recently visited Rebecca Minkoff's new "store of the future" - a joint venture between Minkoff and Ebay - and the shopping technology is truly revolutionary. Text notifications that alert shoppers when their fitting room is ready, customized lighting, and a touch screen dressing room menu are just a few of the amazing ways Minkoff and Ebay have collaborated to create a whole new category of seamless shopping. This new "smart store" represents the next generation of omnichannel commerce: a brick and mortar shopping experience that uses integrated technology to mimic the way consumers shop online. Minkoff's new system will capture consumer data in a similar way to an eCommerce site and allow them to pursue shoppers with a more targeted follow-up. Check out Fast Company's video below and read the full article detailing the innovations here.